We all know about Google Drive, the cloud storage and file backup service offered by Google. 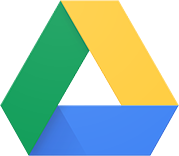 Everyone can get free 15 GB cloud storage on Google Drive at any time: just signup for a Google account (or login to your existing Google account), head over to the Google Drive page, and boom — you have your free 15 GB that never expires. For a limited time, however, you can get an additional (extra) 2 GB for your Google Drive account for life. Yes, that means you will have 17 GB on Google Drive that won’t ever expire. Get it now. The 17 GB (15 GB + 2 GB extra) won't show up instantly because Google takes a few days to add an extra 2 GB free cloud storage to your Google Drive account (for a total of 17 GB). So be patient. Enjoy!